Are You Missing Out on Free Travel Rewards? Are You Eligible For a Business Travel Credit Card? As a small business owner, you’re always looking to both save and earn more money wherever possible. 1% growth on your bottom line is more money in your pocket and therefore good for your business. If, for instance, you could sell your product for 1% more or manufacture it for 1% less, you’d probably be very happy. One way that your business can earn more, is by getting a better return on all expenses. The way to do that is through the best business travel credit cards and their introductory bonuses. They will make you wonder why you were ever happy with that 1% cash back credit card. If you’re using cash, a debit card, or even the wrong credit card for business expenses, you are missing out on either cash back or free travel. While cash-back can be great, most cash-back credit cards will only earn you 1-2% back on all purchases. If you were to get the right combination of business travel credit cards, you could instead be regularly earning 5-10% value or more back in travel points. Even better, if you’re willing to apply for business travel credit cards continually earning introductory bonuses, you can often earn at least a 10-20% travel value return on your spending. Is it really possible to get as much as 34% back on your business expenses? It sure is. 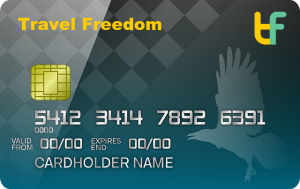 I’ll give you an example with one of the current business travel credit cards offering a great opportunity. If, for instance, you sign up for the Chase Ink Preferred credit card and used it for your next $5000 of spend, you’d earn at least 85,000 points (introductory bonus plus at least 1x points on your spend). How much is 85,000 points worth? On average, Chase Ultimate Rewards are worth about 2.0 cents (according to The Points Guy – Sept. 2018) each when used for travel. That means that your business spending of $5000 just earned you a potential travel value of $1,700. A whopping 34% value back on your spending!!! No joke! That’s a lot more value than your average 1-2% cash back of $50-100… Think of the possible vacations you could be taking with all those points. If you already travel a lot, you’re now going to be saving a lot of money using points, instead of your hard earned money. If you don’t travel much yet, by now using business travel credit cards, you”ll have enough travel points to do it without spending much money at all. Over the past few years, I have been able to travel as often as I can get time off, thanks to the abundance of points I’ve earned. With all the hard work you’re doing on your business, I’m sure you could use a nice vacation! Can you feel the warm sand between your toes yet? 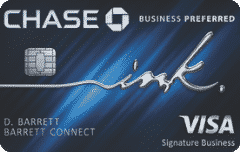 While the Chase Ink Preferred introductory offer is currently the best in the market at 80,000 points, there are plenty of other great business travel credit cards that can earn around $1000 of real-world travel value. There are also some extremely valuable benefits that come along with these business travel credit cards. Some of them will save you money. Others will help you earn even more points through category spending bonuses. I’ve compiled a list of the five best business travel credit cards that you should look into, according to their introductory bonuses and features. Special Introductory APR: 0% introductory APR for 12 months on purchases and balance transfers. Introductory Offer: You’ll earn 50,000 American Airlines AAdvantage miles after making $3,000 in purchases within the first 3 months of account opening and an additional 10,000 miles after spending $10,000 in the first year. American Airlines Benefits: Your first checked bag is free on domestic American Airlines flights. You’ll save 25% on American Airlines in flight Wi-Fi when you use your card. You’ll also receive preferred boarding on American Airlines flights. Category Spend Bonuses: You’ll earn 2 miles per $1 spent on eligible American Airlines purchases. You’ll earn 2 miles for every $1 spent on purchases at telecommunications merchants, cable and satellite providers, car rental merchants and at gas stations. You’ll earn 1 mile per $1 spent on all other purchases. If you fly American a lot this is a good offfer. Plus, they waive the annual fee for the first 12 months. Welcome Offer: You’ll earn up to 75,000 Membership Rewards points. You’ll earn 50,000 points after you spend $10,000 and an extra 25,000 points after you spend an additional $10,000 all on qualifying purchases within your first 3 months of Card Membership. Category Spend Bonuses: You’ll earn 5X points on flights and prepaid hotels on amextravel.com. You’ll earn 1.5 points per dollar, on each eligible purchase of $5,000 or more (up to 1,000,000 additional points per year). Flight Bonuses: 35% Airline Bonus: Use Membership Rewards Pay with Points for a flight with your selected qualifying airline, and you can get 35% of the points back, up to 500,000 bonus points per calendar year. You can also receive 35% points back on all First and Business class flights, with all airlines available through American Express Travel. Airport Lounge Access: You can enjoy access to The American Express Global Lounge CollectionSM offering access to the most lounges across the globe. Other Travel Benefits: $200 Airline Credit per calendar year. Global Entry or TSA PreCheck statement credit. Hilton & Starwood Gold Status. While this card isn’t for all businesses due to the high minimum spend to earn the welcome bonus, it has it’s valuable perks. If you’re able to earn the welcome bonus, it’s very valuable with the Membership Rewards transfer partners. 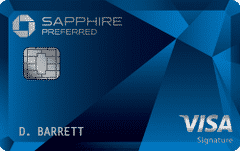 The flying benefits of this card are what it’s all about in our opinion. Lounge access, travel credits, free Global Entry or TSA PreCheck for 5 years, and hotel status all comes with this credit card. If it’s right for your business, it can make traveling a joy. Introductory Bonus Value: Obviously, a large portion of the value in these credit card offers comes from the introductory bonus. We like to use The Points Guy’s point valuations to calculate a more accurate dollar amount for each offer when used for travel. Earning Potential: We researched which cards have true value in their category spend bonuses. This means they have earning bonuses in categories that are often used by businesses. Travel Benefits: We factored in annual travel credits, like the $200 airline credit and lounge access offered by the Business Platinum Card from American Express OPEN. Annual Fees: While an annual fee can make sense, we only find it worth paying them if the benefits of the card far outweigh the yearly cost. If you have a business or even just do some freelancing jobs as a side hustle, a small business credit card can help you separate your expenses, give you more buying power, and let you earn points from your business purchases. As you’ve seen, business credit cards offer bonus rewards on categories such as office supplies, airfare, advertising, dining and gas. If you’re eligible through your business or side hustle, you could benefit greatly by having one or more business credit cards. On top of the great introductory offers, category bonuses on spend make some of these business travel credit cards even better. Most of them have bonus spending categories that could make a lot of sense for your business. 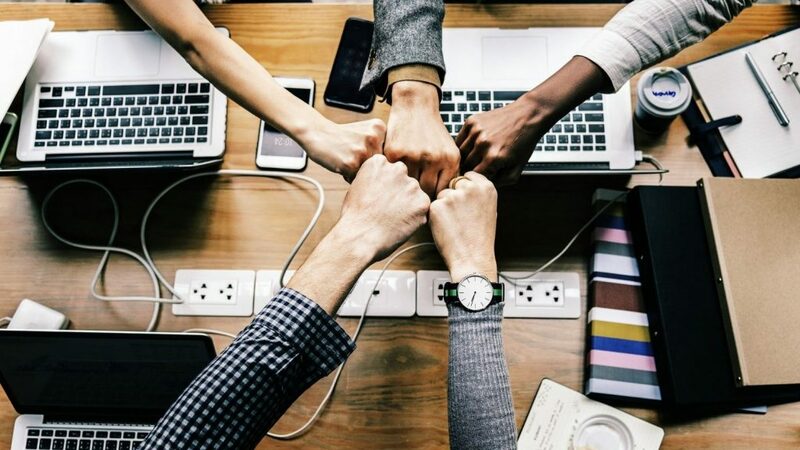 A couple of the category bonuses that I frequently take advantage of, are: 3X rewards for advertising on social media platforms from the Chase Ink Business Preferred credit card, and 5X rewards on office supply stores and on internet, cable and phone services from the Chase Ink Cash credit card. Oh, and by the way, office supply stores happen to have a plentiful gift card selection… Wink, wink. This means that there is the potential of earning 5x points on almost all expenses that your business has. The conclusion of this story is that if you’re interested in traveling, and you’re currently making the mistake of using cash, debit card, or even cash back cards for your business expenses, YOU’RE PROBABLY DOING IT WRONG!!! Find the right business travel credit card for your small business. Then start earning something more valuable than 1-2% cash back. You can be getting much more value back from your business expenses.